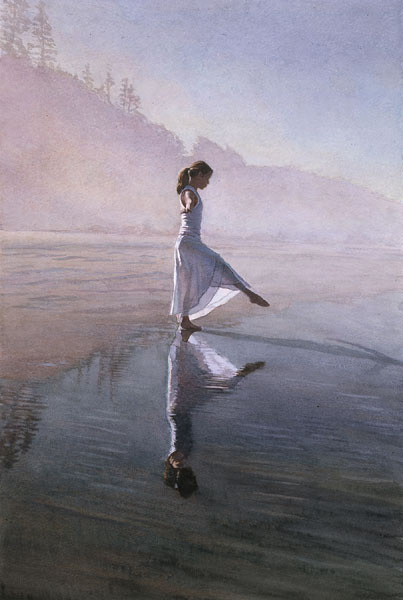 "This private dance on the foggy Oregon beach expresses joy and freedom," says Steve Hanks. "As the young dancer twirls, we learn that we are not the audience this dance is meant for." From the girl's simple yet powerful reflection in the water to the sunlight dissipating through the misty sky, this beautiful work of art will make an uplifting and inspiring addition to any wall.